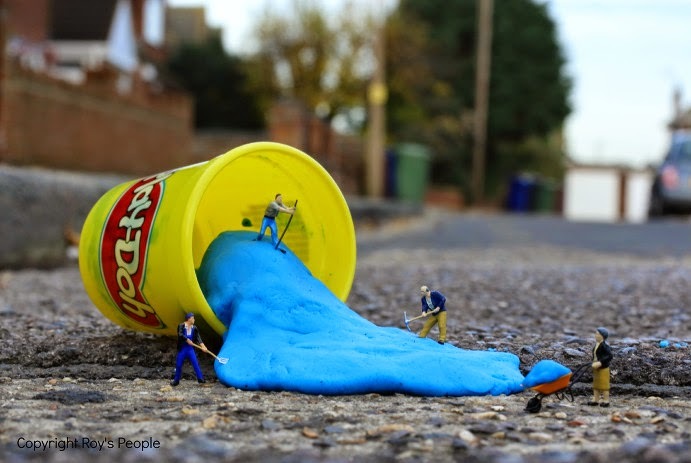 In the UK/England there is a popular Art Photographer known as "Roy's People" who arranges tiny plastic figures of everyday people in funny and/or amusing circumstances. He is having an art show, titled "Little Heroes", that opens in a few days at the CURIOUS DUKE GALLERY: LONDON. Up above is a piece that was inspired by BATMAN. 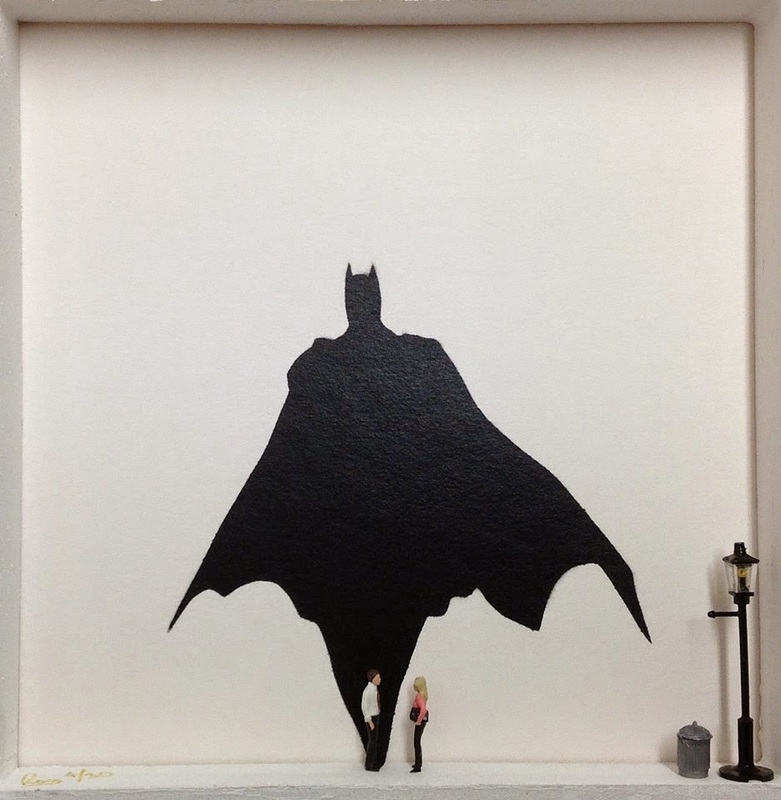 It's a picture frame with a few 3-D elements, and of course some tiny plastic figures, showing a street scene where the man is casting a shadow of the Dark Knight. Then, here is another example of his work. The show starts on April 16th and runs until May 9th. So, if you live near the area please be sure to attend and also let them know that the BAT-BLOG sent you! For more information here is the Official Website of the GALLERY. Also be sure to visit ROY'S PEOPLE Facebook Page by clicking HERE!